The Sixty-eighth Street German Evangelical Reformed Church was established in 1750, but was not incorporated until 1758, after an edifice had been built on Nassau Street between John Street and Maiden Lane. John Jacob Astor was its first treasurer and one of the Revolutionary communicants was Baron von Steuben. 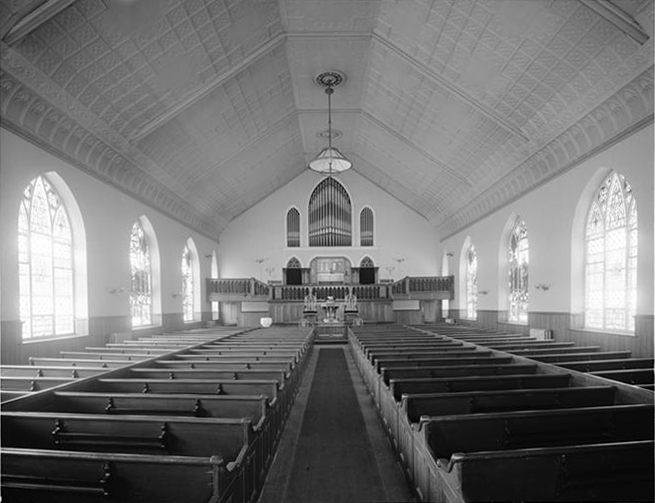 Known variously as both "The Astor Church" and "The Steuben Church," the society was the first German Reformed church in the country. Church records show that in 1822 there was a strong uptown movement, and the society voted unanimously to follow suit. 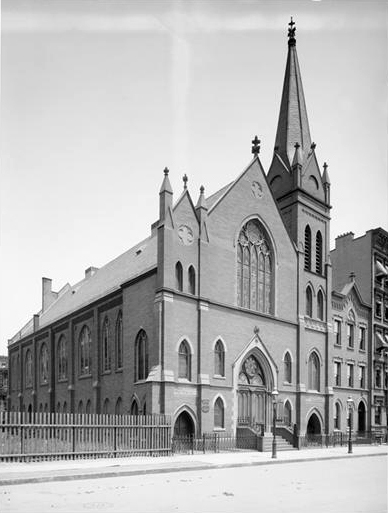 The old building on Nassau Street was sold for $7,500, and a new church building was erected on Forsyth Street, near Canal Street, where the society was known as the Forsyth Street German Reformed Church. After four decades at this location, the congregation had outgrown its building and built a new church costing $60,000 at 147 Norfolk Street. By the end of the 19th century, many members had moved uptown to the Yorkville area of Manhattan. The congregation followed its members and in 1898 built its fourth and last building on East 68th Street near First Avenue. After the congregation disbanded in 1968, the building was sold to the First Missionary Alliance Church. The following specification was recorded (Dec. 6, 1913) by Louis F. Mohr & Co., an organ service concern in the area. Mohr later noted (in 1917) that the organ had a wind pressure of 3½ inches and was blown by "Hand power." Specifications for this organ have not yet been located. "Church Celebrates 170th Anniversary," The New York Times (Dec. 10, 1928), p. 30. "Church Marks 180th Year," The New York Times (Feb. 21, 1938), p. 17. "Church Observes Its 175th Birthday," The New York Times (Feb. 27, 1933), p. 13. "Farewell Church Service," The New York Times (June 21, 1897), p. 3. "German Church Dedicated," The New York Times (Feb. 21, 1898), p. 10. Haberstroh, Richard. The German Churches of Metropolitan New York: A Research Guide. New York: The New York Genealogical & Biographical Society, 2000. "Kaiser Bell Rings Church's 150th Year," The New York Times (Dec. 7, 1908), p. 8. Mohr, Louis F. & Co. Specifications of Müller & Abel Organ, Op. 34 (1895). Courtesy Larry Trupiano. "Philip Hauser Dies; Organist 50 Years," The New York Times (June 22, 1938), p. 23. Wurts Bros. (New York, N.Y.). Photos (ca.1905) of exterior and interior of East 68th Street building.